In earlier times the whole process of pregnancy was seen as a very hush-hush topic.The notion of pregnancy till a few years back was to disclose the news to immediate family and then go into hibernation, spend days in loose baggy tunics, hiding the belly with a stole/dupatta until a baby magically appeared in Mommy’s arms, cooing from a warm blanket. Be it superstition or fear of evil eye or whatever, nobody really came out in open to announce their pregnancy. But how things have changed now! One can see a pleasant shift towards celebrating pregnancy instead of censoring it. The thought of sending out Baby Announcements wouldn’t have even occurred to us that time. It was like our twins were announcing their arrival every moment with their cries and wails. All those newborn pictures blanketing social media look extremely cute, but in our case we were struggling for a long time in identifying who had pooped and whose diaper we had changed by mistake. Seriously, it was this crazy! Well, this post is not about what’s right or wrong, but just my opinion on what all goes behind preparing for the little bundle of joy in today’s times of active social and virtual life! And honest confession – I miss not having done any of it! From dramatic to cute to kind-of-awkward, couples are finding all sorts of new ways of announcing pregnancy nowadays. Pictures of pink- lined pregnancy kit or cute little booties along with expectant parents’ shoes is quite a trend now. From weekly belly bump pics & updates on social media to creating an event and announcing expected date of arrival of bundle of joy- things are getting quite creative. 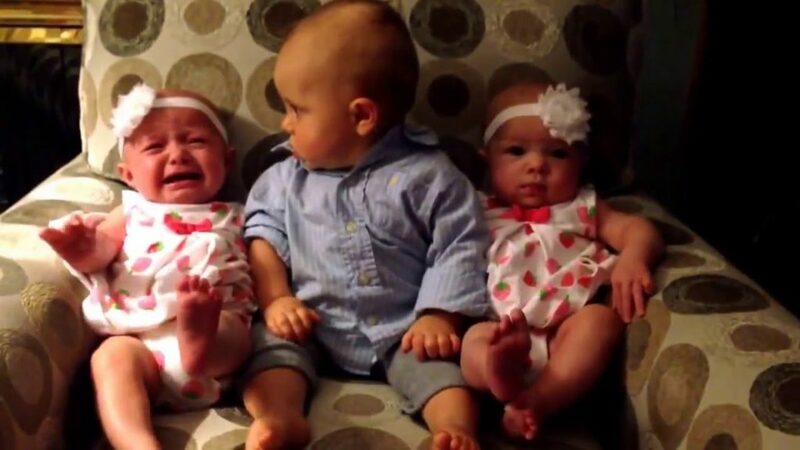 Guess what the latest trend in pregnancy announcement is? 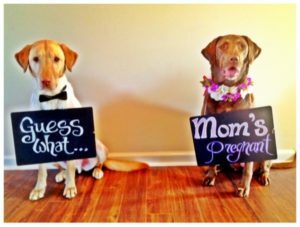 Furry babies announcing their Mommy’s pregnancy! Isn’t that so adorable!! Flowy gowns, interesting props, jaw dropping backgrounds – the time has come when moms-to-be are celebrating their growing bellies with the help of professional photographer. Pregnancies today have taken an all new meaning. Women now want to chronicle this exciting time and special journey. Maternity shoots let them do that. Expecting parents have also realised that once the baby is out, it’s all about the baby. So why not celebrate those 9 months when it’s just about the mom-to-be! And It’s a great idea to document that “pregnancy glow “. And isn’t there a feeling of empowerment to show off that belly bump. Check out the latest trend in Maternity shoot – The Milk Bath. It’s dazzling and yet so graceful. Move over the same old trend of mom-to-be sitting in the middle surrounded with ladies showering their blessings. Thanks to Facebook & Instagram, Baby Showers have become an event to talk about. From theme based invitations, to dress code to gender neutral cake and engaging games for guests- Baby Shower is another event to make mum-to-be feel special & relaxed. More so, when it takes two to make a baby, how can Baby Shower be only about women? That’s the latest trend that’s catching up fast. 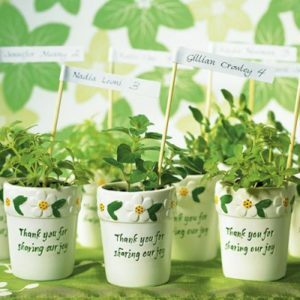 Also, check out “Eco-shower” which is a way of doing their bit towards greener planet by parents-to-be! This is another growing trend among parents-to-be. 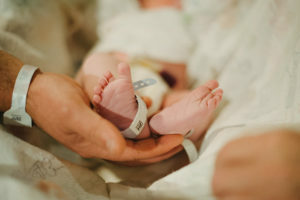 From capturing the drama around delivery in the operation theatre to the process of cord cutting – there’s a lot that today’s expecting couples want to capture. The laughter, the tears and of course the baby’s grand entrance- parents do not want to forget those precious emotions. But this certainly comes at a cost because the entire process might take up hours and the photographer needs to be on call 24/7. 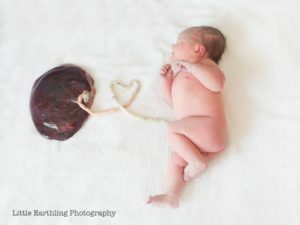 And the latest trend in birth photography is capturing the newborn with Placenta. The Newborn Photoshoot is another millennial phenomenon that’s been catching up fast but it’s really an adorable new trend. And it makes total sense in today’s time when we capture everything- just everything- from the fancy meal we had for lunch to duck faced selfies, today we want to click every moment. So why leave behind the little bundle of joy! Photographers prefer this kind of shoot to be done before the baby is around 12-15 days old. From curled up babies in pea pod background, to props showing the baby floating on clouds- photographers are taking creativity to another level with the help of technology. 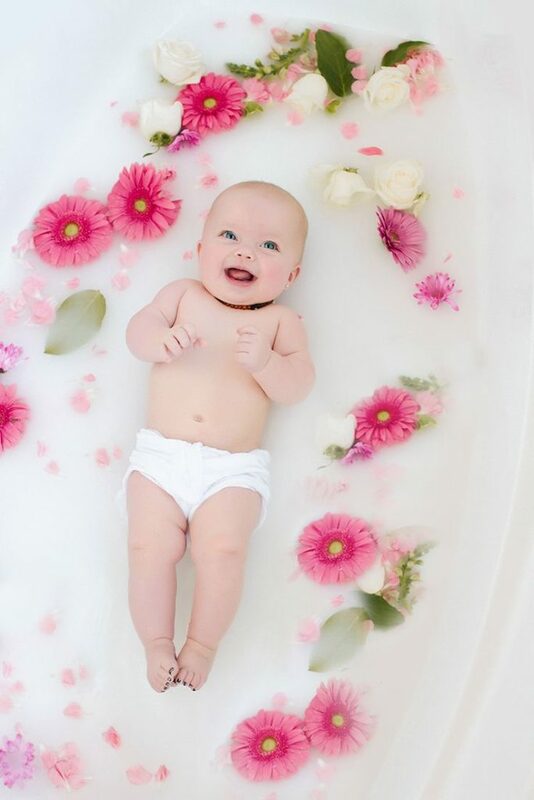 Check out the latest trend in Newborn Photoshoot- The MilkBath. While most of the announcements are going the “e” way because of Facebook and the like, this one age-old custom is becoming trendier. 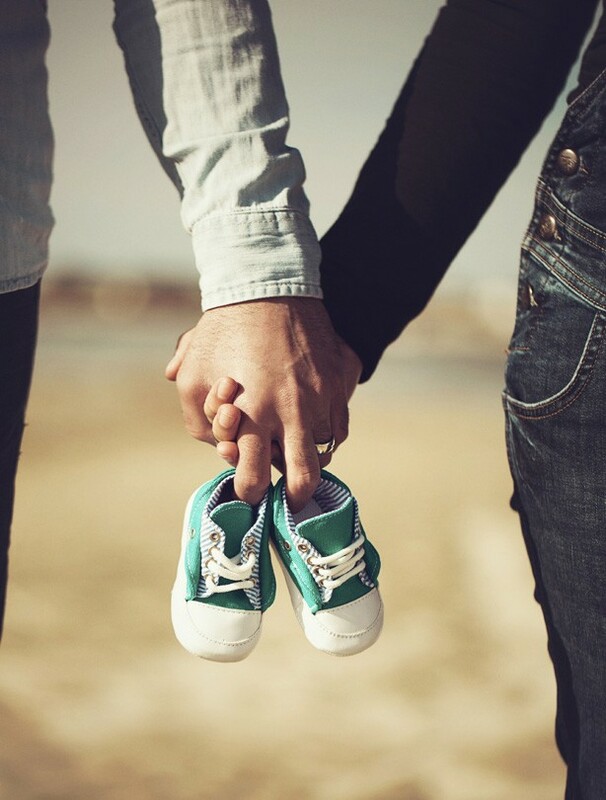 Babies are special and so should be the way their arrival in our lives be announced. After all, their birth should be honoured in a special way. 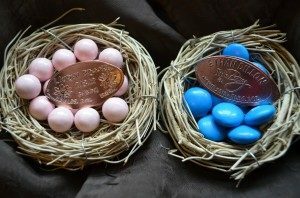 Fancy chocolates, new born’s pictures, beautifully carved-out cards and thoughtful gifts- the concept of announcing baby’s arrival is getting creative. 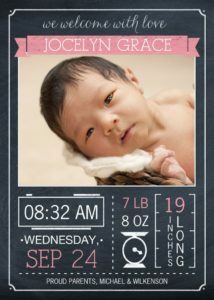 The latest trend is adding a personalised touch to Baby Announcement cards with newborn’s photo, date & time of birth, length and weight topped up with a specific theme. Oh, how I wish I could relive that part of my life once again. Thankfully I did take self portrait belly shots for each Trimester and have a few random pictures from those months. Moreover, we bought a Nikon D5300 DSLR after the birth of our babies so we managed to capture some really good memorable moments of our little ones. It’s so important to have memories captured beautifully and this camera served the purpose well. Each pregnancy and every baby is different. The idea is to not be stressed and feel pressurised because what you see around. The only thing you’ll regret is being pushed into doing stuff and that’s not what you want. If you want a photo shoot crack on. If you don’t, then don’t. There’s nothing to be guilty about either way! « Mama Earth- New Range for Mommies!